Fujitsu - MHV2060BH FUJITSU - 60GB 5400 RPM 8MB BUFFER 2.5INCH 9.5 MM SATA NOTEBOOK HARD DRIVE (MHV2060BH). IN STOCK. SHIP SAME DAY. Toshiba - HDD2D35 TOSHIBA - 60GB 5400RPM 8MB BUFFER SATA 7-PIN 2.5INCH NOTEBOOK HARD DRIVE (HDD2D35). NEW FACTORY SEALED. IN STOCK. Toshiba - MK6037GSX TOSHIBA - 60GB 5400RPM 8MB BUFFER SATA 7-PIN 2.5INCH(LOW PROFILE) NOTEBOOK DRIVE(MK6037GSX). IN STOCK. SHIP SAME DAY. Toshiba - HDD2D63 TOSHIBA - 60GB 5400RPM 8MB BUFFER SATA 2.5INCH(LOW PROFILE) NOTEBOOK DRIVE(HDD2D63). IN STOCK. SHIP SAME DAY. 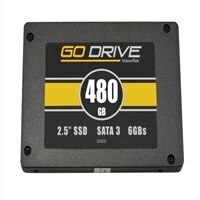 Samsung - HM060HI SAMSUNG - SPINPOINT M60 60GB 5400RPM 8MB BUFFER 2.5INCH SATA-150 NOTEBOOK DRIVES(HM060HI). IN STOCK.SHIP SAME DAY. 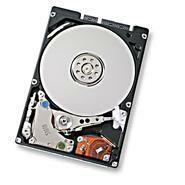 Fujitsu - MHT2060BS FUJITSU - 60GB 5400RPM SATA 7-PIN 2.5INCH LOW PROFILE (1.0INCH) HARD DISK DRIVE (MHT2060BS). IN STOCK. SHIP SAME DAY. 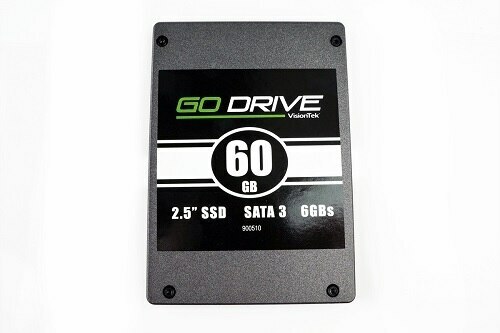 Seagate - ST96023AS SEAGATE - MOMENTUS 60GB 7200RPM SATA 2.5INCH FORM FACTOR 9.5MM HIGH 8MB BUFFER INTERNAL HARD DISK DRIVE FOR NOTEBOOK (ST96023AS). REFURBISHED. IN STOCK. SHIP SAME DAY. 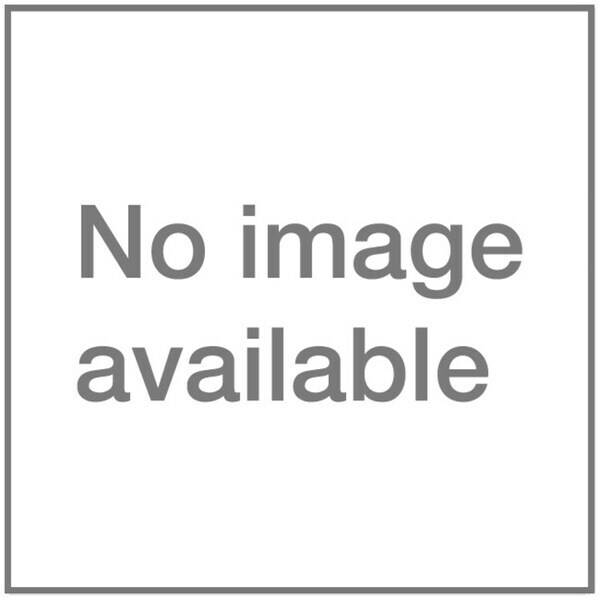 Hitachi - HTS541060G9SA00 HITACHI - TRAVELSTAR 60GB 5400RPM 8MB BUFFER SATA 7-PIN 2.5INCH ULTRA SLIM LINE NOTEBOOK DRIVE (HTS541060G9SA00). IN STOCK. SHIP SAME DAY. SEAGATE - HARD DRIVE - ST960813AS SEAGATE - MOMENTUS 60GB 5400RPM SERIAL ATA-150 (SATA) 8MB BUFFER 2.5INCH FORM FACTOR INTERNAL HARD DISK DRIVE FOR LAPTOP ST960813AS). IN STOCK. SHIP SAME DAY. 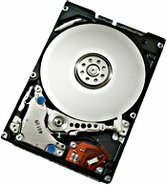 Fujitsu - MHW2060BH FUJITSU - 60GB 5400RPM 8MB BUFFER SATA 2.5inch NOTEBOOK HARD DRIVE (MHW2060BH). IN STOCK. SHIP SAME DAY. 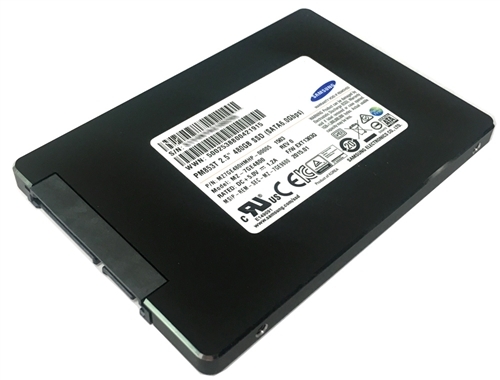 Hitachi - 0A26923 HITACHI - TRAVELSTAR 60GB 5400RPM 8MB BUFFER SATA 7-PIN 2.5INCH ULTRA SLIM LINE NOTEBOOK DRIVE(0A26923). IN STOCK. SAME DAY SHIPPING. 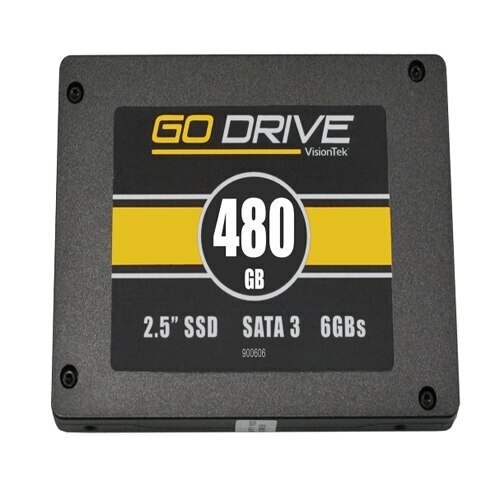 Seagate - ST96812AS SEAGATE - MOMENTUS 60GB 5400 RPM SERIAL ATA-300 (SATA-II) HARD DISK DRIVE. 8MB BUFFER 2.5INCH INTERNAL. ST96812AS IN STOCK .REFURBISHED. SHIP SAME DAY. 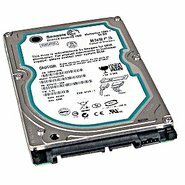 Hitachi - HTS721060G9SA00 HITACHI - TRAVELSTAR 60GB 7200RPM 8MB BUFFER SATA 9.5MM 2.5INCH NOTEBOOK HARD DISK DRIVE (HTS721060G9SA00). IN STOCK. SHIP SAME DAY. Toshiba - MK6026GAX TOSHIBA - 60GB 5400RPM 16MB BUFFER ATA/IDE-100(ULTRA) 44-PIN 9.5MM 2.5INCH SLIM LINE HARD DRIVE (MK6026GAX). IN STOCK. SHIP SAME DAY. Hewlett Packard - 399460-001 HP/COMPAQ - 60GB 5400RPM SATA 7PIN 2.5INCH FORM FACTOR HOT PLUGGABLE HARD DISK DRIVE (399460-001). IN STOCK. SHIP SAME DAY. 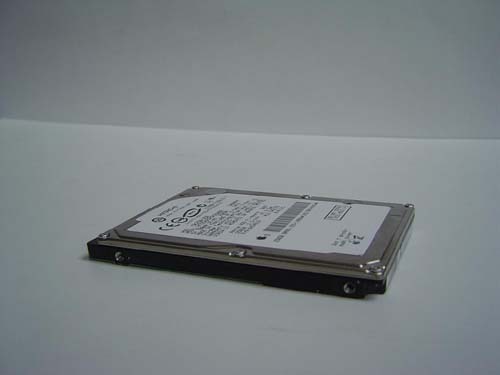 Hewlett Packard - 382264-001 HP/COMPAQ - 60GB 5400RPM SATA 7PIN 2.5INCH HARD DISK DRIVE (382264-001). IN STOCK. SHIP SAME DAY. 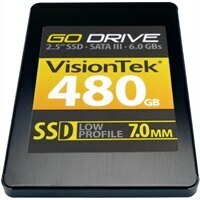 Hitachi - 0A25025 HITACHI - 60GB SATA 7200 RPM 8MB CACHE 9.5 MM 2.5inch TRAVELSTAR NOTEBOOK HARD DISK DRIVE(0A25025). IN STOCK. SHIP SAME DAY. 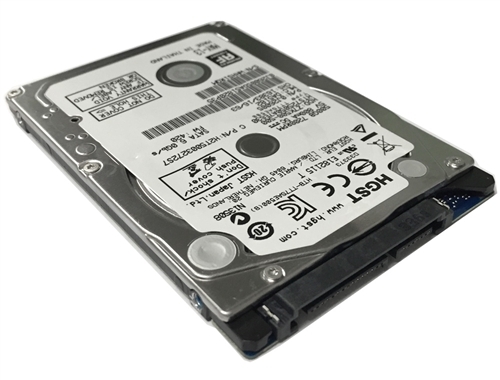 Hitachi - HTS541660J9SA00 HITACHI - TRAVELSTAR 5K160 60GB 5400RPM 8MB BUFFER SATA 7-PIN 2.5INCH NOTEBOOK HARD DISK DRIVE (HTS541660J9SA00). IN STOCK. SAME DAY SHIPPING. Toshiba - MK6025GAS TOSHIBA - 60GB 4200RPM 8MB BUFFER EIDE/ATA-100 (ULTRA) 2.5inch 9.5MM NOTEBOOK HARD DRIVE (MK6025GAS). IN STOCK. SHIP SAME DAY. Toshiba - HDD2189 TOSHIBA - 60GB 4200RPM 8MB BUFFER IDE/ATA-100 (ULTRA) 44-PIN 2.5INCH 9.5MM NOTEBOOK HARD DRIVE (HDD2189). IN STOCK. SHIP SAME DAY. Fujitsu - MHT2060AT FUJITSU - 60GB 4200RPM 2MB BUFFER ATA/IDE-100 44-PIN 2.5INCH SUPER SLIM INTERNAL NOTEBOOK HARD DRIVE (MHT2060AT). IN STOCK. SHIP SAME DAY. Hewlett Packard - 379306-B21 HP/COMPAQ - 60GB 5400RPM SATA 7PIN 2.5inch LOW PROFILE (1.0inch) HARD DISK DRIVE (379306-B21). IN STOCK. SHIP SAME DAY. 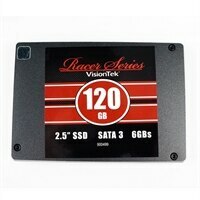 Hitachi - DK23FA-60 HITACHI - 60GB 4200RPM 8MB BUFFFER EIDE/ATA-100 2.5inch NOTEBOOK HARD DISK DRIVE(DK23FA-60). IN STOCK. SHIP SAME DAY. Hitachi - IC25N060ATMR04 HITACHI - TRAVELSTAR 60GB 4200RPM 8MB CACHE ATA-5 EIDE NOTEBOOK HARD DISK DRIVE (IC25N060ATMR04). IN STOCK. SHIP SAME DAY. Toshiba - MK6006GAH TOSHIBA - 60GB 4200RPM 2MB BUFFER ATA/IDE-100 44-PIN 1.8INCH LOW PROFILE NOTEBOOK DRIVE(MK6006GAH). IN STOCK. SHIP SAME DAY. Toshiba - HDD1544 TOSHIBA - 60GB 4200RPM 2MB BUFFER ATA/IDE-100 44-PIN 1.8INCH LOW PROFILE NOTEBOOK DRIVE(HDD1544). IN STOCK. SHIP SAME DAY. Toshiba - MK6034GAX TOSHIBA - 60GB 5400RPM 8MB BUFFER 2.5INCH 9.5MM HEIGHT ATA/IDE-100 44-PIN SUPER SLIMLINE NOTEBOOK HARD DRIVE. (MK6034GAX). NEW. IN STOCK. SHIP SAME DAY. Toshiba - HDD2194 TOSHIBA - 60GB 5400RPM 16MB BUFFER ATA/IDE-100(ULTRA) 44-PIN 9.5MM 2.5INCH SLIM LINE HARD DRIVE (HDD2194). IN STOCK. SHIP SAME DAY. Fujitsu - MHV2060AH FUJITSU - 60GB 5400RPM 8MB BUFFER ATA-100 (ULTRA) 2.5INCH SLIM LINE 9.5 MM NOTEBOOK HARD DRIVE (MHV2060AH). IN STOCK. SHIP SAME DAY. Fujitsu - MHT2060AS FUJITSU - 60GB 5400RPM 8MB BUFFER IDE/ATA-100 44-PIN 2.5INCH NOTEBOOK HARD DISK DRIVE (MHT2060AS). IN STOCK. SHIP SAME DAY. Hitachi - 08K0634 HITACHI - TRAVELSTAR 60GB 4200 RPM 8MB CACHE ATA-5 EIDE NOTEBOOK HARD DISK DRIVE (08K0634). IN STOCK. SHIP SAME DAY. Hitachi - DK23EA-60 HITACHI - TRAVELSTAR 60GB 4200RPM 8MB BUFFER ATA-5 44-PIN 9.5MM 2.5INCH NOTEBOOK HARD DISK DRIVE (DK23EA-60). IN STOCK. SAME DAY SHIPPING. Toshiba - MK6021GAS TOSHIBA - 60GB 4200RPM 2MB BUFFER ATA/IDE 100 9.5 MM 2.5inch SLIM LINE NOTEBOOK HARD DISK DRIVE (MK6021GAS). IN STOCK. SHIP SAME DAY. Toshiba - HDD2183 TOSHIBA - 60GB 4200RPM 2MB BUFFER ATA/IDE-100 2.5inch SLIM LINE 9.5MM INTERNAL NOTEBOOK HARD DISK DRIVE (HDD2183). IN STOCK. SHIP SAME DAY. Toshiba - HDD2D17 TOSHIBA - 60GB 5400RPM 16MB BUFFER 9.5 MM ATA/IDE-100 44-PIN 2.5INCH SUPER SLIMLINE NOTEBOOK HARD DRIVE (HDD2D17). NEW. IN STOCK. SHIP SAME DAY. Fujitsu - MHT2060AH FUJITSU - 60GB 5400RPM 8MB BUFFER ATA/IDE-100(ULTRA) 44-PIN 2.5INCH 9.5 MM NOTEBOOK HARD DRIVE (MHT2060AH). IN STOCK. SHIP SAME DAY. 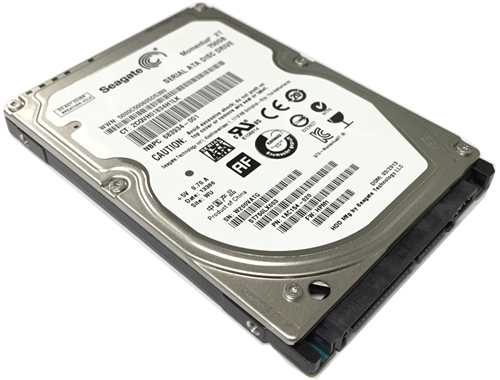 SEAGATE - HARD DRIVE - ST960815A SEAGATE - MOMENTUS 60GB 5400RPM IDE/ATA-100 2.5INCH FORM FACTOR 8MB BUFFER INTERNAL HARD DISK DRIVE FOR NOTEBOOK (ST960815A).REFURBISHED. IN STOCK.SHIP SAME DAY. Hitachi - 08K1356 HITACHI - TRAVELSTAR 60GB 4200RPM 8MB BUFFER ATA-5 EIDE NOTEBOOK HARD DISK DRIVE(08K1356). IN STOCK. SHIP SAME DAY. Hitachi - 13G1583 HITACHI - TRAVELSTAR 60GB 5400RPM 8MB BUFFER EIDE/ATA-100 2.5INCH NOTEBOOK DRIVE (13G1583). IN STOCK. SHIP SAME DAY. Hitachi - HTS541060G9AT00 HITACHI - TRAVELSTAR 60GB 5400RPM 8MB BUFFER EIDE/ATA-100 INTERNAL 2.5INCH NOTEBOOK DRIVE (HTS541060G9AT00). IN STOCK. SHIP SAME DAY. Fujitsu - MHS2060AT FUJITSU - 60GB 4200RPM 2MB BUFFER ATA/IDE-100(ULTRA) 44-PIN 2.5INCH NOTEBOOK HARD DRIVE (MHS2060AT). NEW. IN STOCK. IN STOCK. SHIP SAME DAY. Hewlett Packard - 354052-B21 HP/COMPAQ - 60GB 5400RPM ATA/IDE-100 40PIN 2.5inch SERVER OPTION INTERNAL HARD DISK DRIVE FOR PROLIANT BL30P/BL35P BLADE SERVER (354052-B21). IN STOCK. SHIP SAME DAY. Hitachi - 08K0638 HITACHI - TRAVELSTAR 60GB 5400RPM 8MB BUFFER 9.5MM EIDE/ATA 44-pin NOTEBOOK DRIVE(08K0638). IN STOCK. SHIP SAME DAY. Hitachi - HTS548060M9AT00 HITACHI - TRAVELSTAR 60GB 5400RPM 8MB BUFFER EIDE NOTEBOOK HARD DISK DRIVE (HTS548060M9AT00). IN STOCK. SHIP SAME DAY. Hitachi - HTS541660J9AT00 HITACHI - TRAVELSTAR 60GB 5400RPM 8MB BUFFER ATA-133 44-PIN 2.5INCH NOTEBOOK HARD DISK DRIVE (HTS541660J9AT00). IN STOCK. SAME DAY SHIPPING. Hewlett Packard - FJ060C4980 HP/COMPAQ - 60GB 5400RPM SATA 7PIN 2.5INCH HOT PLUG INTERNAL HARD DISK DRIVE (FJ060C4980). IN STOCK. SHIP SAME DAY. Hitachi - HTS721060G9AT00 HITACHI - TRAVELSTAR 60GB 7200RPM 8MB BUFFER ULTRA IDE/ATA-6 2.5inch 9.5MM NOTEBOOK HARD DISK DRIVE. IN STOCK. SHIP SAME DAY. 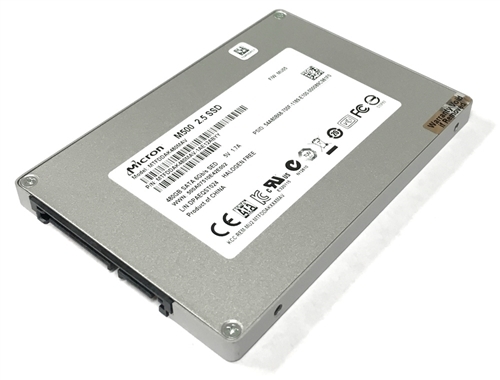 Hitachi - HTS726060M9AT00 HITACHI - TRAVELSTAR 60GB 7200RPM 8MB BUFFER 2.5INCH 9.5 MM ATA-66 44-PIN NOTEBOOK DRIVE (HTS726060M9AT00). IN STOCK. SAME DAY SHIPPING. 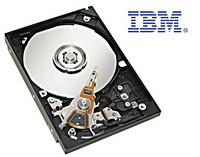 IBM - 0A25022 HITACHI - TRAVELSTAR 60GB 7200RPM 8MB BUFFER ULTRA IDE/ATA-6 2.5inch 9.5MM NOTEBOOK HARD DISK DRIVE(0A25022). IN STOCK. SAME DAY SHIPPING. 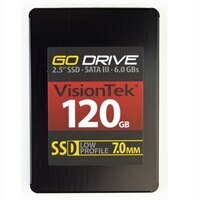 Hitachi - 08K0939 HITACHI - TRAVELSTAR 60GB 7200RPM 8MB BUFFER ATA-66 44-PIN 2.5INCH 9.5MM NOTEBOOK DRIVE (08K0939). IN STOCK. SHIP SAME DAY. 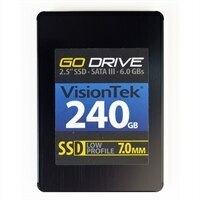 Western Digital - WD600BEVS WESTERN DIGITAL - SCORPIO 60GB 5400RPM SATA 7PIN 2.5INCH NOTEBOOK DRIVE. WD600BEVS IN STOCK. SAME DAY SHIPPING. 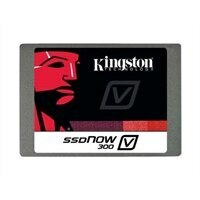 Kingston - SKC300S37A/60G SKC300S37A 60G Kingston Ssdnow Kc300 60GB Sata 6Gbps 2.5inch Internal Stand Alone Solid State Drive. New Bulk Pack. Hitachi - HTS428060F9AT00 HITACHI - 60GB 4200RPM 9.5 MM ATA/100 13 MS NOTEBOOK HARD DISK DRIVE (HTS428060F9AT00). IN STOCK. SHIP SAME DAY. Hitachi - HTS421260H9AT00 HITACHI - 60GB 4200RPM 2MB BUFFER EIDE/ATA-100 2.5INCH NOTEBOOK DRIVE (HTS421260H9AT00). IN STOCK. SHIP SAME DAY. 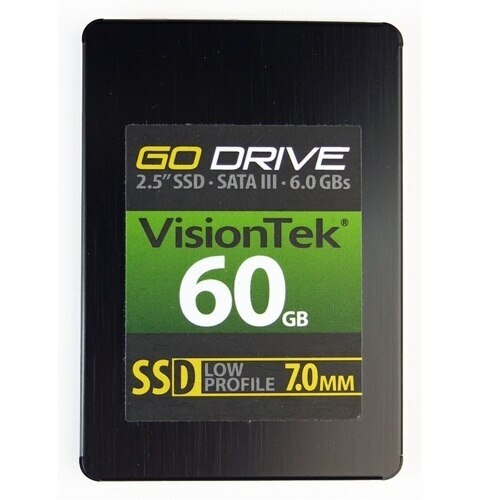 IBM - 0A27463 0A27463 IBM 60GB 5.4K RPM 2.5Inch Form Factor SATA Hard Disk Drive. New Bulk Pack. 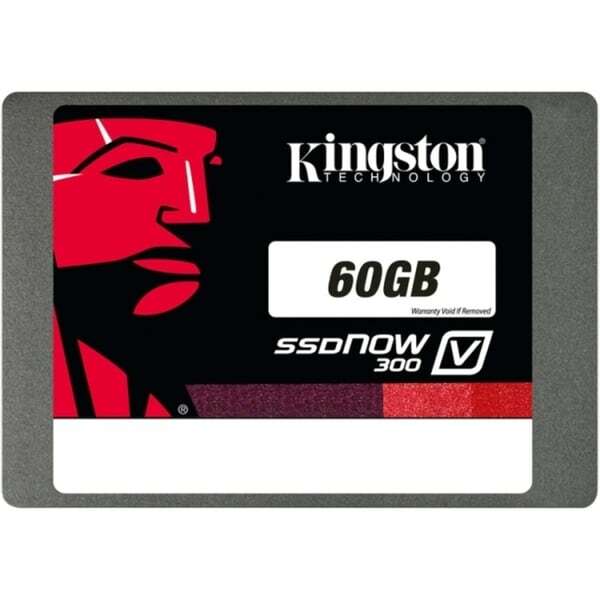 IBM - 08K9699 IBM - 60GB 5400RPM IDE 2.5inch NOTEBOOK HARD DISK DRIVE(08K9699). IN STOCK. IBM - 08K9700 IBM - 60GB 5400RPM 2.5inch EIDE ULTRA ATA-100 NOTEBOOK HARD DISK DRIVE(08K9700). IN STOCK. SHIP SAME DAY. IBM - 39T2551 39T2551 IBM 60GB 5.4K RPM Form Factor 2.5Inches SATA 150 Note Book Hard Drive. New Bulk Pack. 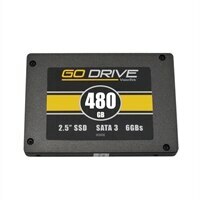 Hewlett Packard - 413851-001 413851-001 HP 60GB 5.4K RPM From Factor 2.5inches SATA Hard Drive. New Bulk Pack. Hewlett Packard - MK0060EAVDR MK0060EAVDR HP 60GB Form Factor 2.5inches 3G SATA SFF Midline Solid Sate Drive. New Bulk Pack. IBM - 39T2551 IBM - THINKPAD 60GB 5400RPM EIDE/ATA 2.5INCH 9.5MM NOTEBOOK DRIVE(39T2551). IN STOCK. SHIP SAME DAY. Hewlett Packard - 572252-001 572252-001 HP 60GB 2.5inch 3G Sata Sff Midline Solid Sate Drive With Tray. New Bulk Pack. Hewlett Packard - 570826-001 570826-001 HP 60GB Form Factor 2.5inches 3G SATA Lff Midline Solid Sate Drive. New Bulk Pack. Hewlett Packard - 570774-001 570774-001 HP 60GB Form Factor 2.5inches 3G SATA Lff Midline Solid Sate Drive. New Bulk Pack. 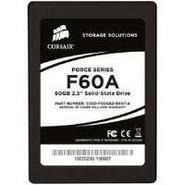 Corsair - CSSD-F60GB2-BRKT-A CORSAIR - 60GB FORCE SERIES SATA II 2.5 INCH MLC SOLID STATE HARD DRIVE SSD IN STOCK.SHIPS SAME DAY. 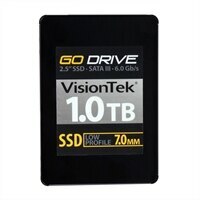 IBM - 08K1540 IBM - 60GB 4200RPM 2MB BUFFER ATA-100 1.8INCH NOTEBOOK DRIVE FOR THINK PAD X40. IN STOCK. NEW FACTORY SEALED. SHIP SAME DAY. Hitachi - HTC426060G9AT00 HITACHI - TRAVELSTAR C4K60 60GB 4200RPM 2MB BUFFER ATA-100 1.8INCH NOTEBOOK DRIVE(HTC426060G9AT00). BRAND NEW. IN STOCK. SHIP SAME DAY. 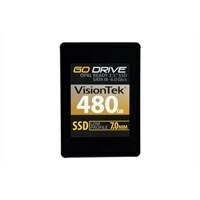 Dell - 463-0551 463-0551 Dell 60GB MLC SATA 6Gbps 2.5-inch Internal Solid State Drive SSD. New Bulk Pack. 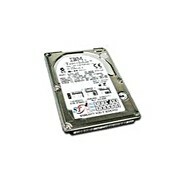 IBM - 73P3358 IBM - 60 GB 4200 RPM IDE/ATA 1.8 INCH 9.5 MM NOTEBOOK HARD DISK DRIVE (73P3358). IN STOCK. SHIP SAME DAY. Hewlett Packard - 539557-007 539557-007 HP 60GB 2.5inch 3G SATA Sff Midline Solid Sate Drive With Tray For HP Proliant Dl165 G7 Server. New Retail Factory Sealed With Full Manufacturer Warranty.